A few months ago we returned from a remarkable three-week, six-country vacation. And a trvlvip success story wouldn’t be complete without touting my Luxury for Loyalty strategies and showing you how we saved a bunch of money on comfortable flights and luxurious hotels. In this wildly successful example, United Airlines and Hyatt were collectively a big part of helping us save 85% on our luxurious journey. We began our journey with a luxurious Business Class flight from Seattle to Kuala Lumpur, Malaysia. We were fortunate enough to secure two Business Class United MileagePlus Saver Awards for our flight from Seattle to Kuala Lumpur on United’s airline partner, All Nippon Airways (ANA). And we paid only $19 (that’s right – as in less than twenty dollars!) and 70,000 MileagePlus miles for each ticket. Together those two tickets would have cost us $9,622 had we paid cash, which equates to a value of 6.8 cents for each MileagePlus mile we redeemed ($9,622 minus $37 = $9,585 divided by 140,000 miles). That’s more than four times what we believe United MileagePlus miles are worth at 1.5 cents per mile! Needless to say, we jumped at that opportunity. And because we saved a bundle securing a MileagePlus Saver Award nearly a year in advance (book early! ), we knew that if we needed to change the date of the ticket while retaining the same routing, we could do that for just $75 per ticket if more than 21 days before departure. Flying Business Class is a pleasurable way to begin any international vacation. We had a short connection in Tokyo, but still had time to enjoy ANA’s impressive Business Class lounge. We flew on the Dreamliner and enjoyed wonderful service and amenities onboard, including a great choice of fine wine, champagne and premium cocktails. We even had an American or Japanese style choice at each meal. And the lie-flat beds ensured a well-rested start to our exciting holiday vacation without jet lag. We arrived in Kuala Lumpur late at night just two days before Christmas and my brother flew in from Thailand to meet us. 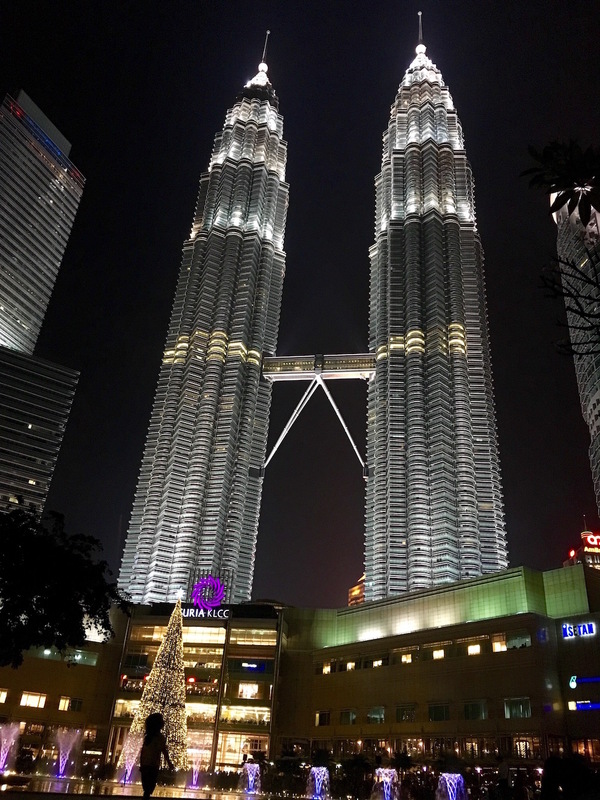 When we arrived at the Grand Hyatt Kuala Lumpur we were very impressed with the gorgeous hotel and the front desk staff was very kind and accommodating, which was comforting after a long travel day and night. 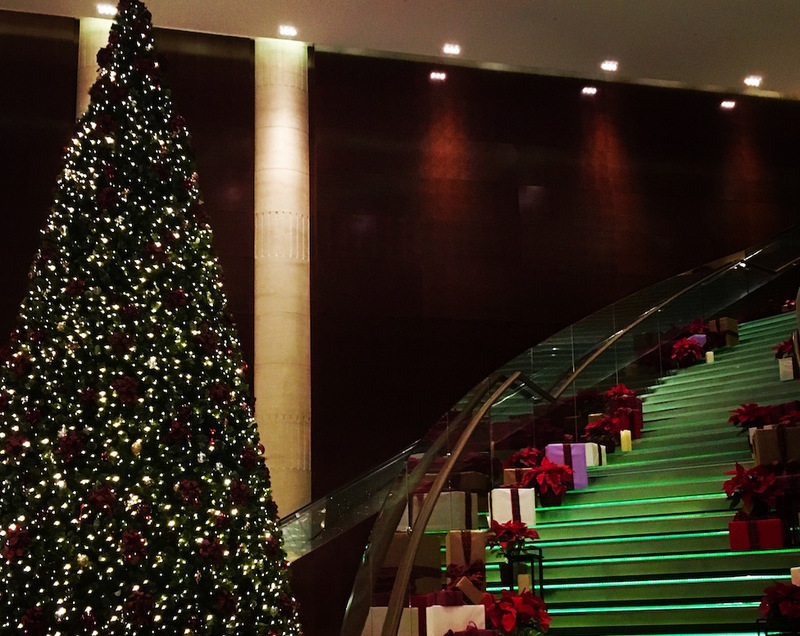 The lobby was an open, two-story atrium on the top floor with a beautiful panoramic view of the city and a festive holiday display to get us all in the spirit. Because we only paid $100 each night for a $650 room, those 7,500 points we redeemed for each night of our stay resulted in a value worth 7.3 cents per point ($650 minus $100 = $550 divided by 7,500 points) – over four times what we believe Hyatt Gold Passport points are worth at 1.8 cents per point. We loved so many things about this hotel and about Kuala Lumpur. My Hyatt Diamond Suite Upgrade resulted in a gorgeous four-room suite with two bathrooms and the most gorgeous view of the Petronas Towers. As I mentioned, we enjoyed FREE breakfast for all three of us each day as well as evening cocktails and the most enjoyable selection of heavy hors d’oeuvres. And it was one of the most lavish breakfasts we’ve ever had at a hotel. The buffet had stations (there must have been a close to a dozen stations – wrapping around the top floor atrium level of the hotel) representing multiple international cuisines. And the evening cocktail reception was impressive to say the least. We saved hundreds of dollars on gourmet food, wine and premium cocktails all because of my Hyatt Gold Passport Diamond status. And we had amazing service from the staff. We particularly enjoyed getting to know Farah, one of the managers, and Didie in the Diamond lounge. Both of them took incredibly good care of us. We shared lots of laughs and they gave us local tips about places to visit while in Kuala Lumpur. It’s always a blessing to meet and learn from locals and we were very happy to spend our Christmas at this luxurious hotel with their exceptional staff. Each day in Kuala Lumpur we walked for hours. We love to walk while on vacation as it’s an amazing and unique way to experience a new city. And boy was it nice to wear a sundress in December! Kuala Lumpur has a rich cultural heritage with a mix of modern skyscrapers, shopping centers, wonderful restaurants, nightclubs and hotels, while maintaining evidence of it’s strong colonial past. Merdeka Square is the heart of the Kuala Lumpur’s well-preserved colonial district. It is where on midnight August 31, 1957, the Union Jack flag was lowered and the Malayan flag raised on Malaysia’s Independence Day at the Royal Seis. 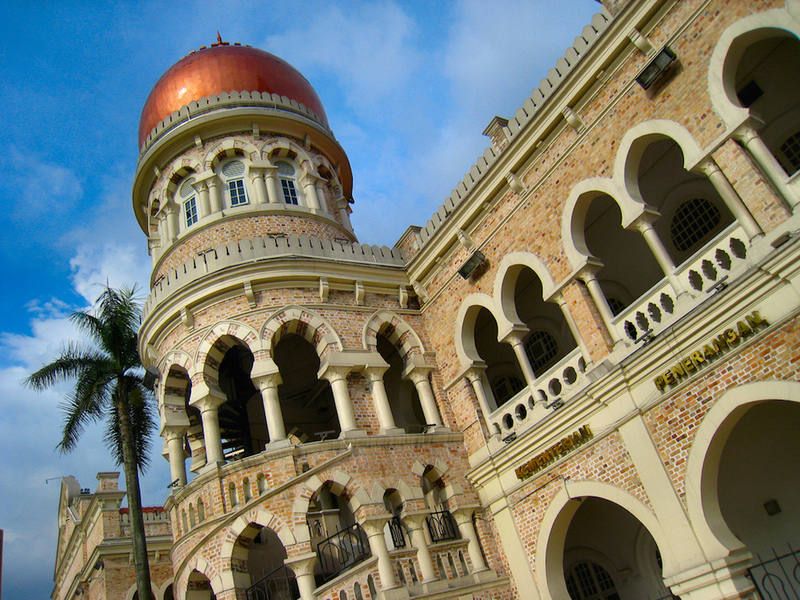 And it’s home to the Royal Selangor Club, the most prestigious private club in Kuala Lumpur. We also enjoyed our visit to the Central Market which dates back to the 1930’s, Chow Kit, Little India and Jalan Petaling, a shopping street with lots of bargains in Chinatown that transforms into a wonderful night market after 5 p.m. After a few long days of sightseeing and shopping, our last stop was the the wonderful Perdana Botanical Garden, also called the Lake Gardens, the city’s biggest park. Two Business Class tickets for $37, three nights in a beautiful four-room suite at the Grand Hyatt for only $300, plus FREE food and cocktails throughout out stay – saved us well over $12,000! So book your award flights early and use a mix of hotel points and cash to enjoy excellent savings on premium flights and luxurious hotels while stretching your miles and points. And always LOOK before you BOOK so you never miss great airline, hotel and car rental discounts, Perks and Tips from trvlvip! She Travels Free and so can you! Go ahead and sign up for complimentary alerts, so you never miss an important update on the travel loyalty programs you care about most! And check out our other examples of how She Travels Free in action! Be on the lookout for our next She Travels Free posts on Bali, Singapore, the Maldives, Oman, Abu Dhabi and Dubai as a continuation of our trip of a lifetime!